Awhile back I was invited to attend the Best Brunch Ever - Delicious Morning Recipes To Savour Cooking Book media launch held at ToTT. 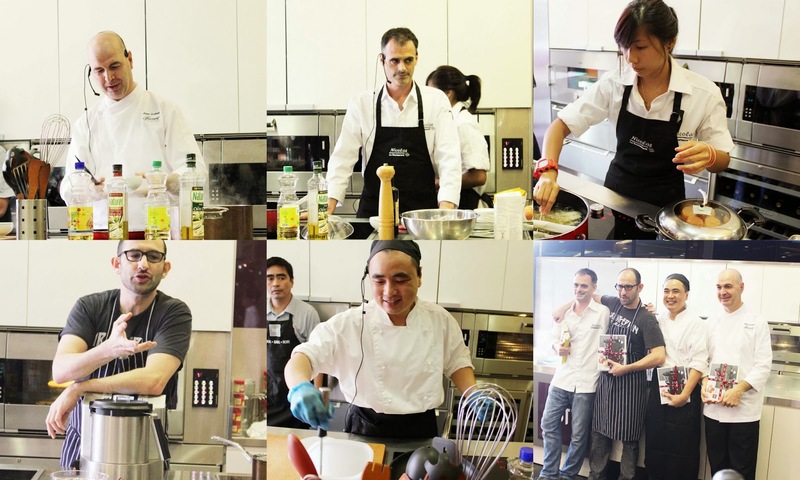 If you are unaware, ToTT is actually a cooking school and it's no stranger to fellow chefs out there. So to commerate their 3rd anniversary they recently launched their new easy-to-cook book containing different recipes of suitable for brunch. The cookbook also contains many many different types of cuisine you can try out such as Japanese, Vietnamese, French etc. 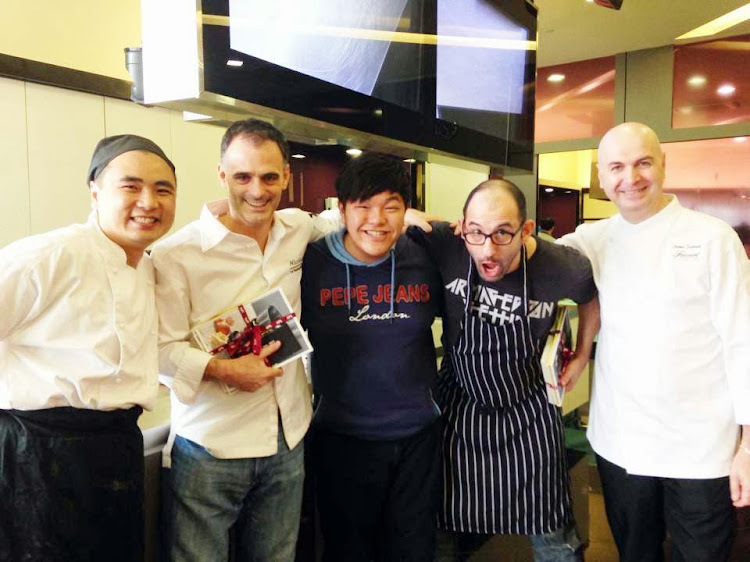 I was lucky to have a glimpse to taste their cooking with other bloggers too! Such a heartwarming photo with fellow chefs that turned up for the event! I felt privileged as I got to see the chef cook in action! Each of them got different styles of cooking and handling the food differently. For a moment, I felt like I was in a cooking show! *stomach was actually growling at the same time*. I also finally knew that you could easily whip up a simple breakfast at such a minimum time by following the recipes in the cook book! I will explain in detailed below! Believe it or not, the preparation time to make this was actually only 5mins. (Exclude boiling the spaghetti). There were also hearty amounts with calamari, anchovies, bread crumble, chilli, garlic and fennel. Simple, yet delicious! I have got to try this recipe one day and cook for my family! Provided that I don't make a mess in the kitchen! 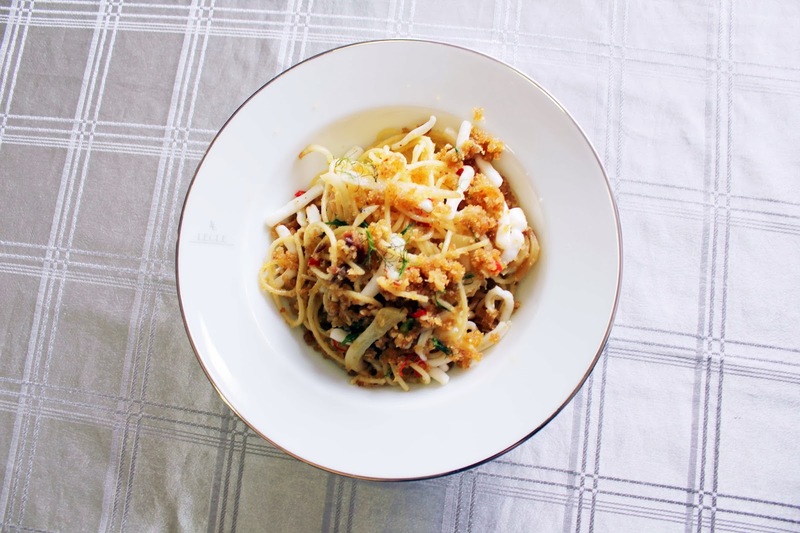 But it's too good to be true right because from the picture it can tell that it takes a lot of tedious work to make spaghetti for a meal as it's usally very time-consuming but this recipe proved me wrong. I got to try it one day! The dish was prepared by Chef Antonio. Hmmm! What's a good brunch without egg?! Simple yet delicious! 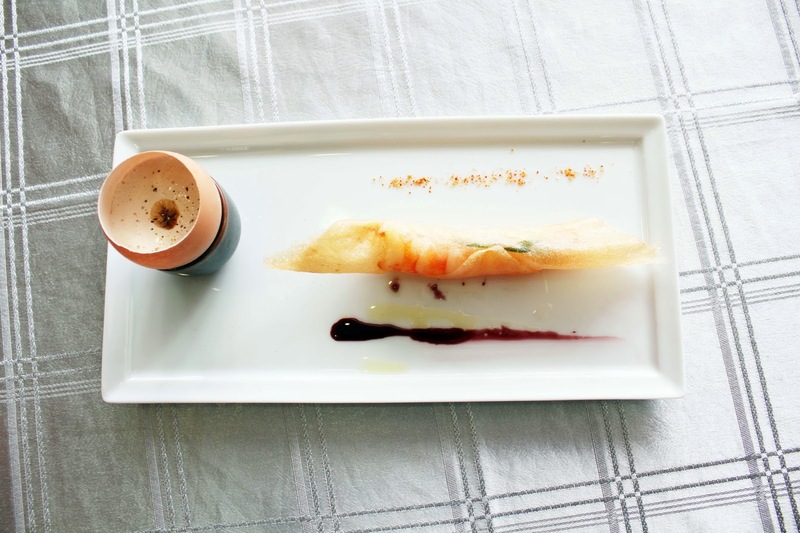 This dish was prepared by Chef Nicholas, also known as Chef-owner of Nicolas Le Restaurant. 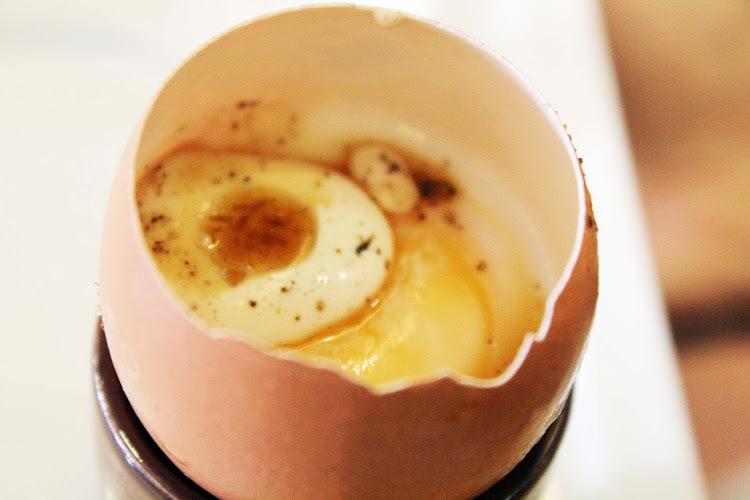 The eggs tasted slightly sweet, and I honestly didn't know that you can "beautify and modify" (they actually added a few drops of mixed vinegar to enhance the taste) it brought taste to a whole new level. 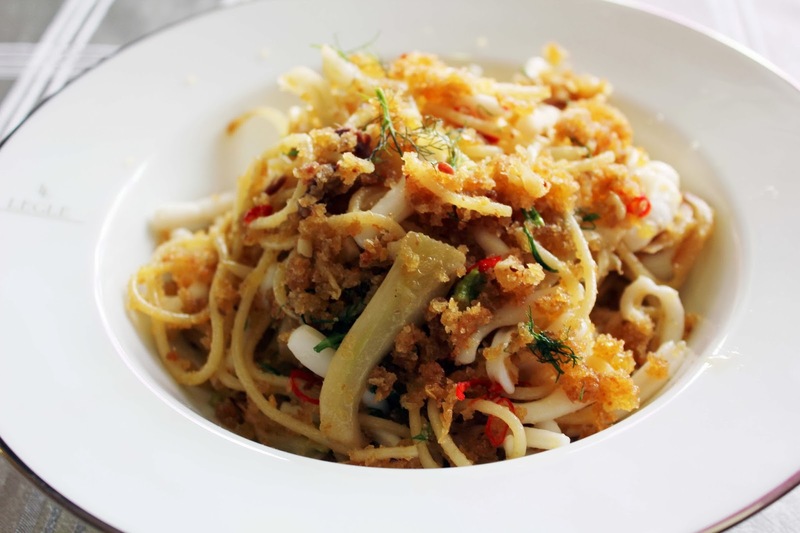 The dish is also paired with a pice of fried prawn! 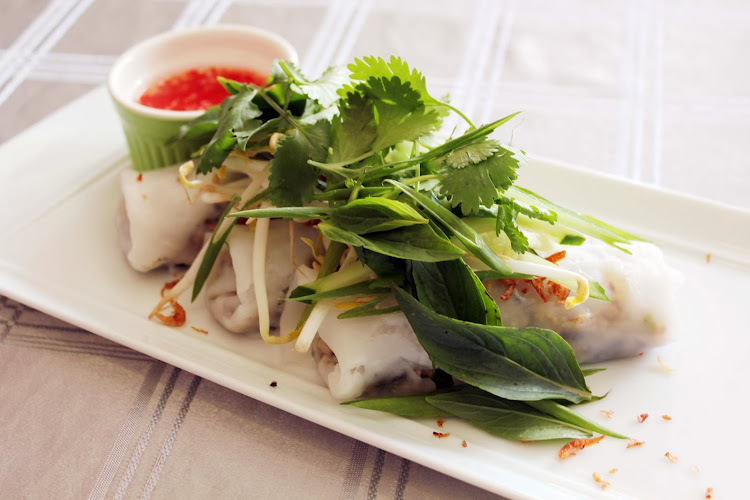 Simply palatable and filled with flavoursome! I NEVER knew that you can convert bacon into a jam you can keep. 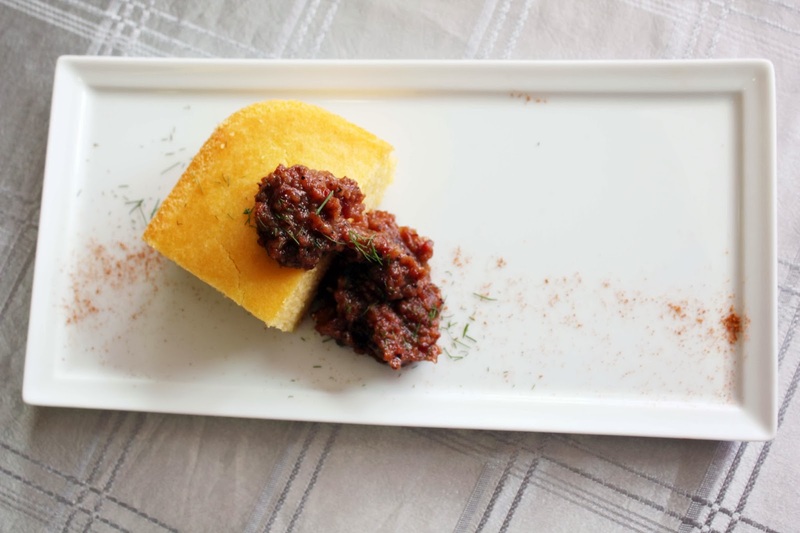 The main star icon was the bacon jam, when can be kept and preserved after being made. Also can be served hot, or cold. 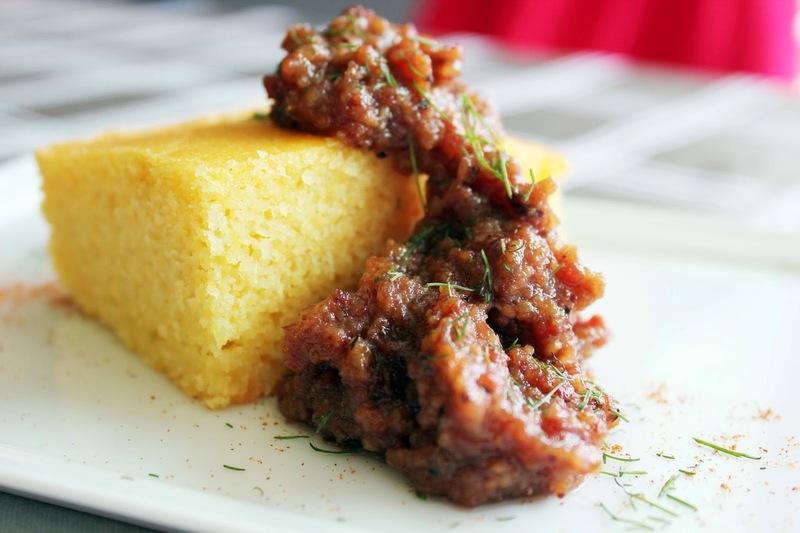 The Cornbread Wedges tasted a bit like hard sponge cake and I would preferred to eat it with bread or even rice. You see, the sauce can be used for many purpose, it also can be served as a sauce. I never knew it would be so simple to make the bacon jam by using very little ingredients to produce such a radiant and strong smell of the bacon! The dish was prepared by Chef Dan Segall. After trying out some of the western food, proceeded onto trying Chef Chi Quang Trinh's Bánh Cuốn which resembles the "Soon Kueh" we have in Singapore to me. It is actually steamed rice rolled (made using flour mixture) filled with generous fillings of minced pork, fungus and a dash of the secret sauce. So what are you waiting for? Change your brunch to a whole new experience by following the recipes menus in the cook book. To me, I felt that $12.90 was definitely value for money for so many great recipes which you can whip up within a few minutes! 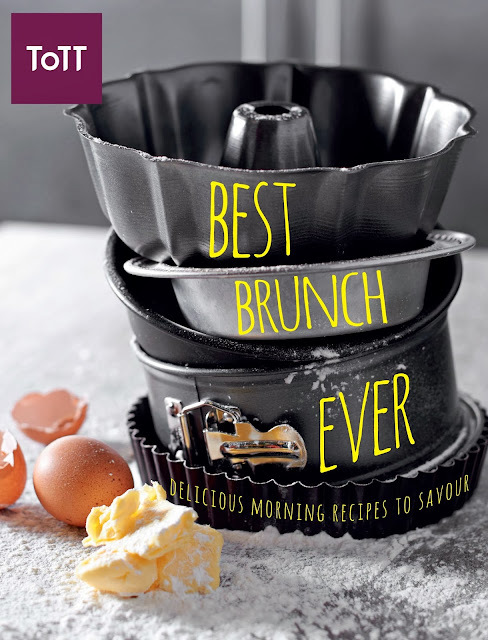 Hurry grab a copy of Best Brunch Ever - Delicious Morning Recipes To Savour today at ToTT! I'm so happy that I also have a copy of the cook book for myself so I can slowly experiment by cooking by myself because I seldom step into the kitchen! and also ToTT has a new e-commerce site which would bring about greater convenience to those who love e-shopping! With Over 1500 fascinating products are made available online with some exclusive products, and purchases of $200 and above will entitle one to free delivery. 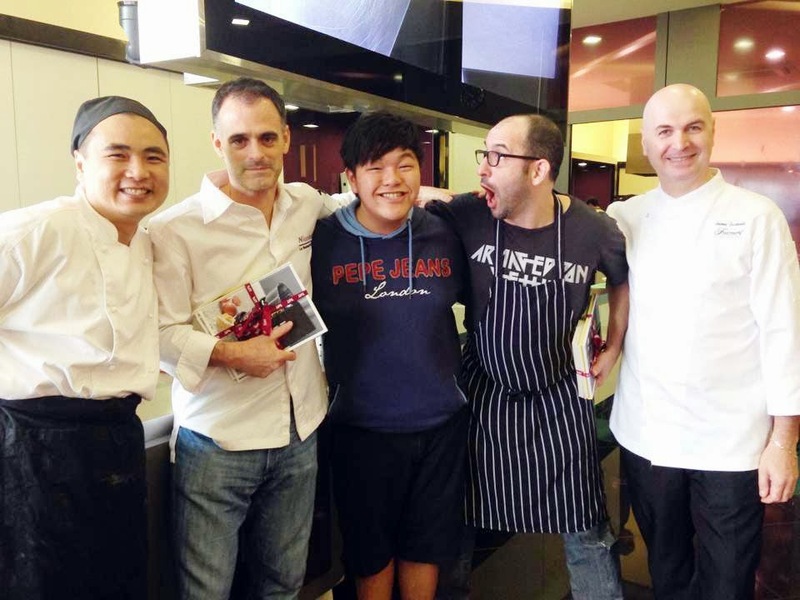 so heartwarming to see all the chefs there! would i be able to join them in cooking too for the courses?